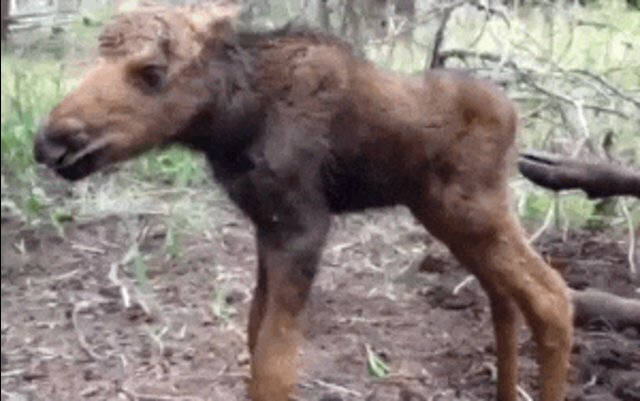 When Josh Hohm encountered a newborn moose calf wandering alone near the campground he was staying at in Montana last month, he did what any good person would do - he called for help. Little did he know at the time that by alerting wildlife authorities to the animal in need, he'd effectively sentenced her to death. Instead of rescuing the orphaned moose, whose mother was found nearby having died while giving birth, officers from Montana Fish, Wildlife and Parks (MT FWP) killed her; the U.S. Forest Service then blew up her body with explosives to scatter her remains. Hohm was shocked to learn what his good intentions led to. "It's just unbelievable to me that that's how things are handled," Hohm told the Bozeman Daily Chronicle. "It just sounds incredibly wrong." But perhaps more alarming than the agencies' response to this case of a calf in distress is the fact that it's par for the course. Andrea Jones, a spokesperson from MT FWP, says that moose are not included among the types of animals they will attempt to rehabilitate, due to health concerns. "They can carry chronic wasting disease which can be very devastating to populations; it's also very dangerous to humans," Jones told news station KXLH, adding that had the moose not been killed, she would have likely died without her mother anyway. Hohm says that the MT FWP did not test the moose calf for disease before killing her. Montana's supposedly well-reasoned rationale for not rescuing orphaned moose calves stands in contrast to how similar cases are handled elsewhere. 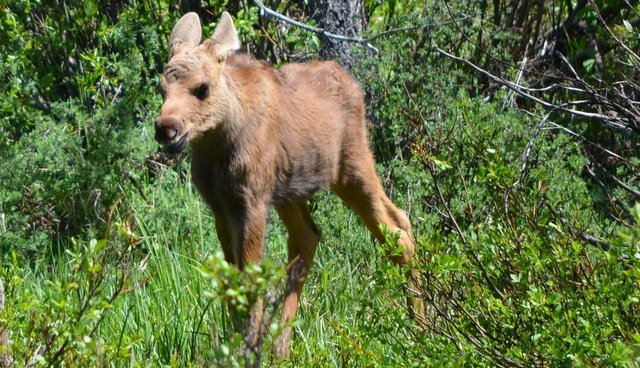 In other states home to moose, orphaned calves are often rehabilitated for release back into the wild with the help of private wildlife centers. MT FWP officials told The Dodo that no such facilities exist in Montana. Still, Hohm tells KXLH that wildlife officials should be doing more to try to help calves like the one he hoped to save, not just sweep their lives under the rug. "These guys are on our payroll to oversee the protection and well being of these animals and this is how we 'manage wildlife,'" he said. "It's quite disheartening."